Tadekam vadha niscitya yena sreyohamapnuyam. niscitya vadha = ( hence ) please tell ( me ) ascertaining. We see Lord Krishna stating in chapter-2, slokam-31 that "There is no greater good fortune for a ksatriya warrior then to engage in a war for righteousness. So the superiority of actions has also being praised by Him. Due to the praising of both jnana yoga and karma yoga in a seemingly equal manner some conflict arises in Arjuna's mind and he became confused. But still he is clear enough to understand that the Lord being compassionate is never really perplexing to His devotees; but it may appear so because of a lack of clarity. So Arjuna can perceive he is being seemingly bewildered and this is the underlying meaning of the verse. 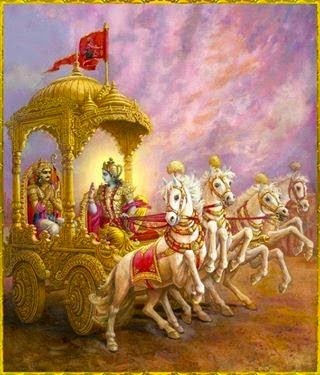 So Arjuna is beseeching Lord Krishna to clarify definitively which is the superior path of the two that gives blessedness and leads to final beatitude being moksa or liberation. Although Arjuna was bewildered he could still understand that Lord Krishna valued the cultivation of spiritual knowledge as being superior to activities without attachment and he could also understand that if Lord Krishna was ordering him to fight this must be also for his betterement as well, The Lord did not specify which path Arjuna was qualified for as yet and thus Arjuna was in a dilemna and needed a clear, definitive instruction that would end his confusion. Arjuna is humbly requesting this with the underlying request that the most merciful and compassionate Supreme Lord should not bewilder the mind of one who is His surrenderd devotee. Previously it has been spoken that self-realisation of the soul is the gained by the means of spiritual knowledge. Lord Krishna after substantiating the cessation of activities with words of wisdom He now redirects Arjuna's attention to the performance of actions. In chapter-2, slokam-49 the resplendent Lord Krishna had endorsed that cultivation of spiritual knowledge is by far superior to fruitive activities. So Arjuna is questioning why he is being urged to perform savage activities in warfare which is bereft of righteousness, if the attainment of wisdom is superior to performing actions. Wisdom and equanimity have been discussed. 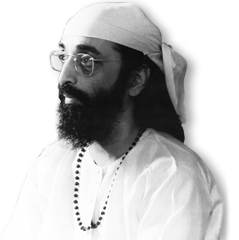 Now karma yoga the yoga of actions is being specifically explained in this chapter. Far inferior is action in the search of enquiry. Here the word yoga attached to karma-yoga is being utilised as a means of acquiring wisdom in the performance of actions. Gita : Ch-3. Introduction : Part-1. Gita : Ch-3. Introduction : Part-2. Gita : Ch-3. Introduction : Part-3. Gita : Ch-3. Introduction : Part-4. Gita : Ch-3. Introduction : Part-5. Gita : Ch-3. Introduction : Part-6. Gita : Ch-3. Introduction : Part-7. Gita : Ch-3. Introduction : Part-8. Gita : Ch-3. Introduction : Part-9. Gita : Ch-3. Introduction : Part-10. Gita : Ch-3. Introduction : Part-11. Gita : Ch-3. Introduction : Part-12. Gita : Ch-3. Introduction : Part-13. Gita : Ch-3. Introduction : Part-14. Gita : Ch-3. Introduction : Part-15.